2015 NBA Draft results: Karl-Anthony Towns, D’Angelo Russell and Jahlil Okafor Top 3 - Balita Boss! Results of the 2015 NBA Draft, held on June 25th, 2015 at Barclays Center in Brooklyn, New York. 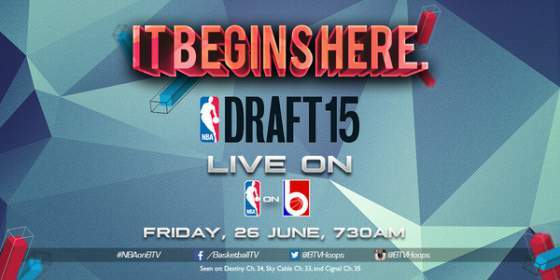 BTV and ABS-CBN Sports+Action channel 23 will telecast the 2015 NBA Draft on Friday, June 26 live at 7:30 a.m. Philippine time. Take a look below to see who your team selected in the draft.